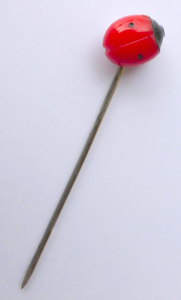 To someone who bought a ladybird pin over half a century ago. In the late 1950s or early 1960s, you donated a shilling in exchange for a little Pestalozzi ladybird pin. It wasn’t a large amount (equivalent to about £1 in today’s money) but, along with the many tens of thousands of other donors who were prepared to give, it made a difference to me and to all of us at the Pestalozzi Children’s Village. So, after nearly 60 years, how much of a difference has your shilling made? Well, I was sent to the Pestalozzi Children’s Village as a 10 year-old child in 1959. From a personal perspective, Pestalozzi was a community that changed my life. It exposed me to personal relationships that I would have probably missed out on had my childhood remained as it was before. And, among other things, it assisted me to go out into the world and experience a fairly “normal” and healthy existence. I married, had children and today I have a wonderful extended family. The affectionate and caring management of my life when I arrived at Pestalozzi contributed to my ability to care for and appreciate my own family. So, more than half a century later, the effect of your shilling continues to impact on my life – and my children’s and my grandchildren’s lives – today. It wasn’t just a shilling – it was a shilling. It meant something then . . . and it is still working. If you remember buying a ladybird pin decades ago, let us know. Perhaps you were part of a ladybird club that raised funds for Pestalozzi – we’d love to hear from you! 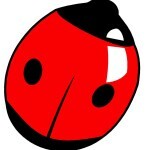 Click on the ladybird, below! Previous PostPestalozzi Students NetworkingNext PostWe’re speaking at Brighton’s refugee festival in May!